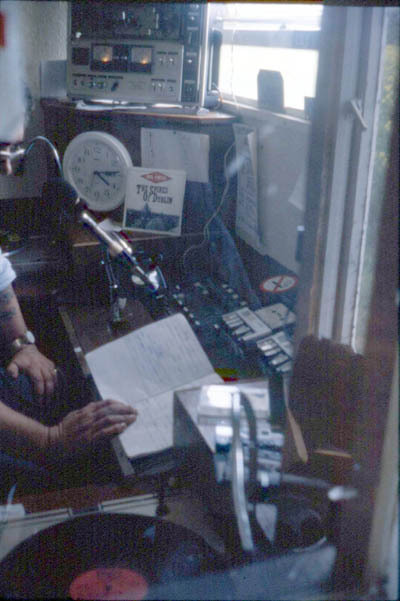 Community Radio Fingal (CRF) began operating from the Rockabill Hotel in Skerries during 1982. 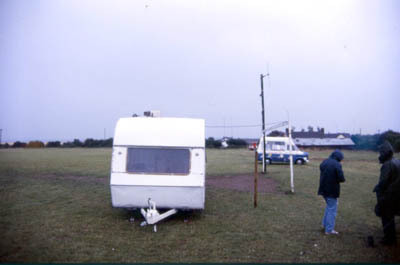 The hotel was named after the island just offshore from the town, where the light house is situated. CRF were initially on 1584kHz, but soon settled on 1575kHz. 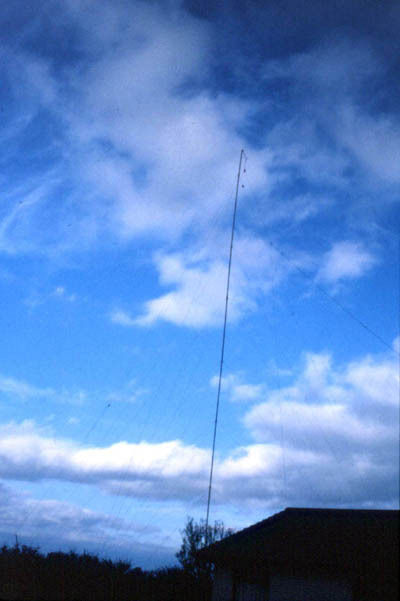 CRF were easily heard in the western areas of the UK on 1575. 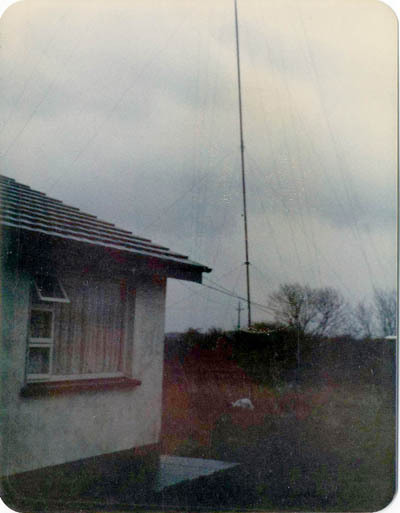 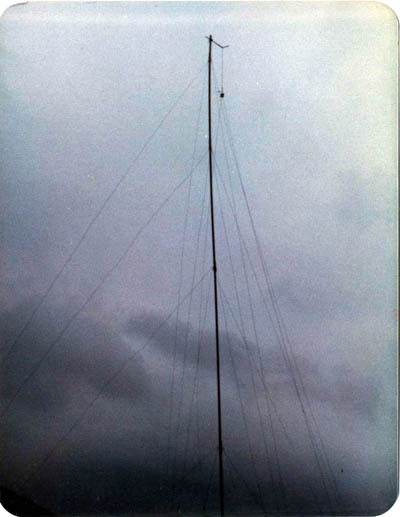 In 1982 though for the first few months when the transmitter was on 1584, reception was more difficult if you had UK ILR / BBC activity also on the channel. 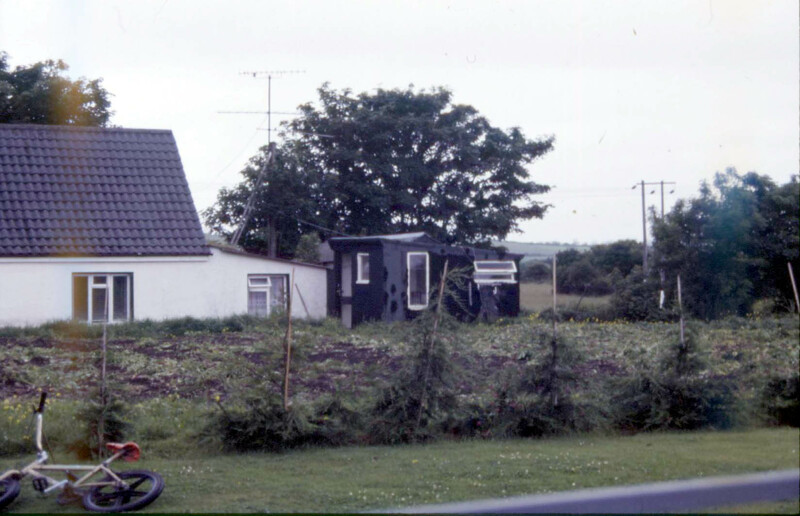 Following a fire in the hotel, CRF moved to owner Brian Mathew's house, in Loughshinney, just outside Skerries. 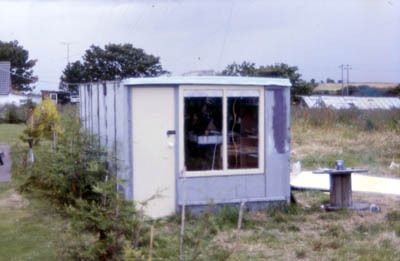 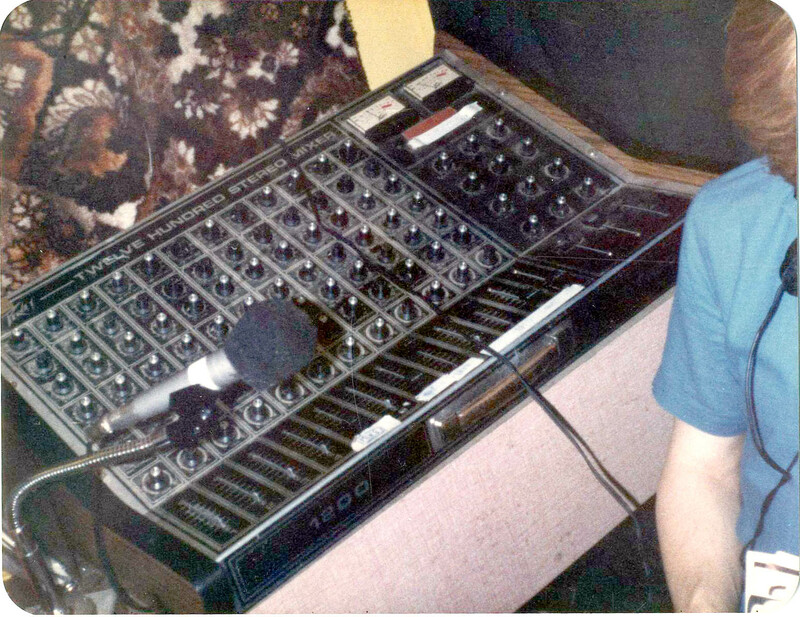 The studio was in an old caravan during a visit in 1983, but by 1986 had moved to a very compact shed next to the house. 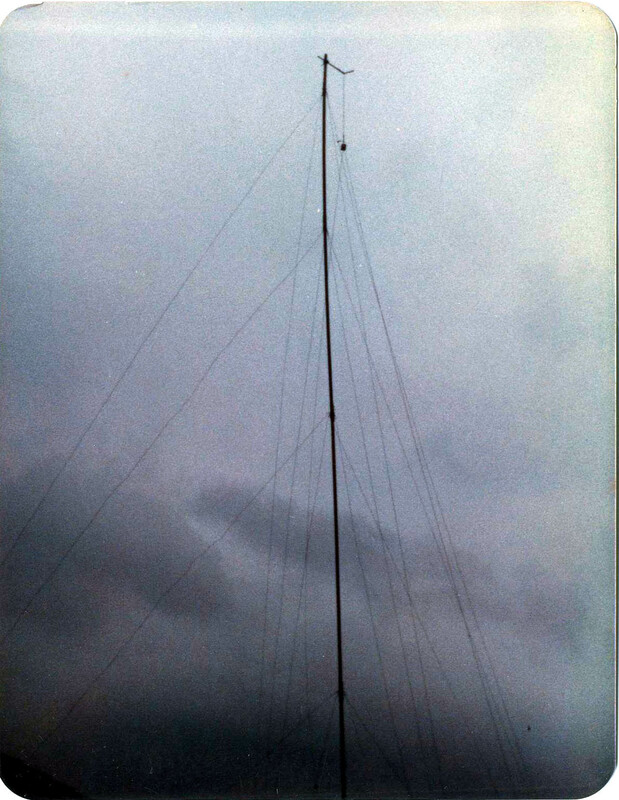 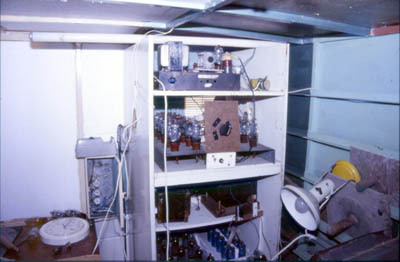 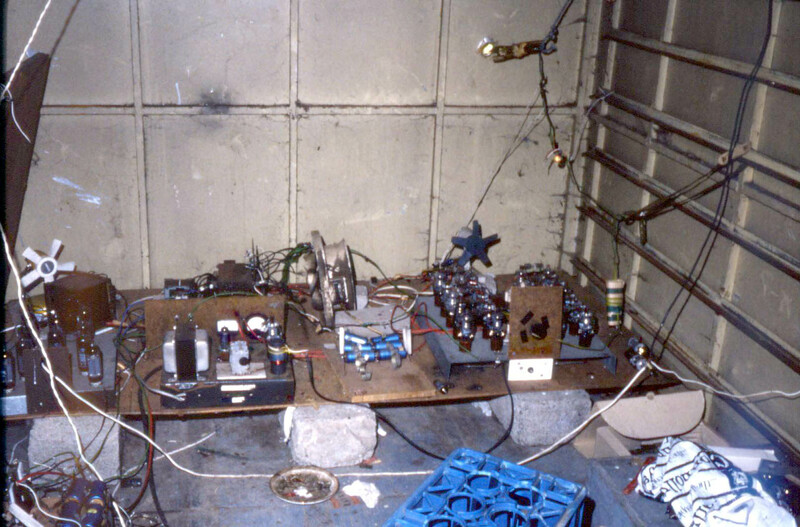 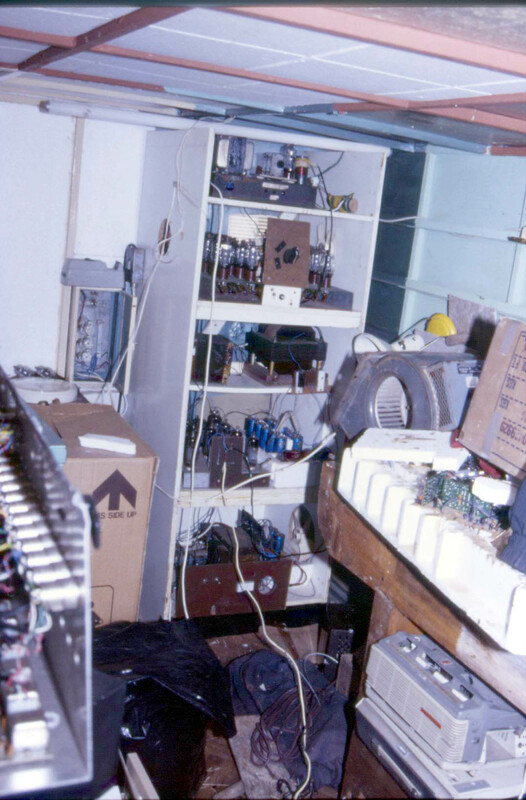 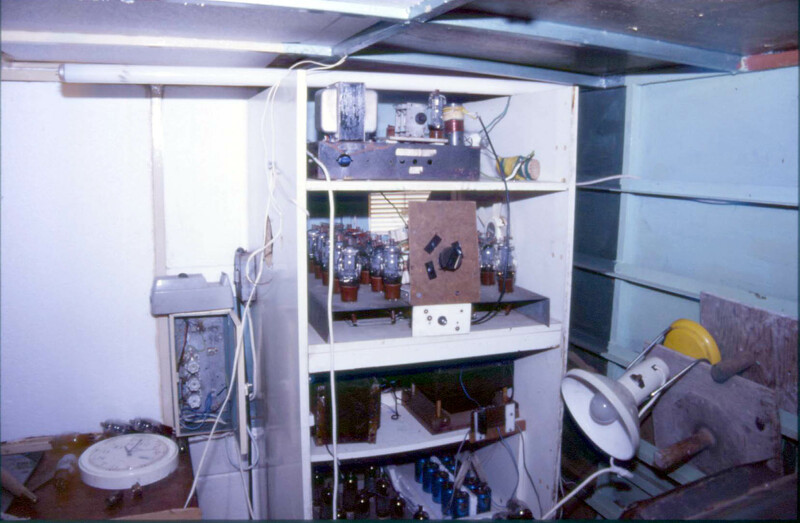 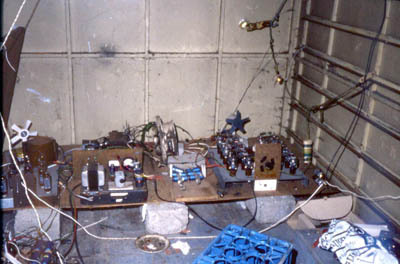 The transmitter which was reputed to be the former South Dublin Radio SW tx, was housed in a container nearby. 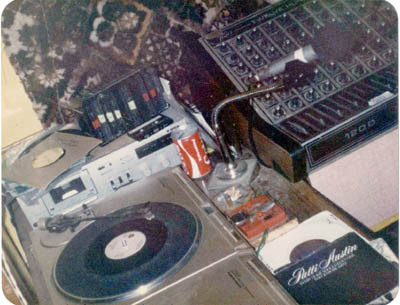 This was complete with it's 20 807's!! It is uncertain if this was the same transmitter used until 1988?? 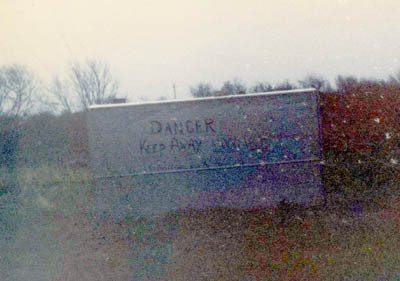 Sometime in 1986 or maybe 1987 (??) 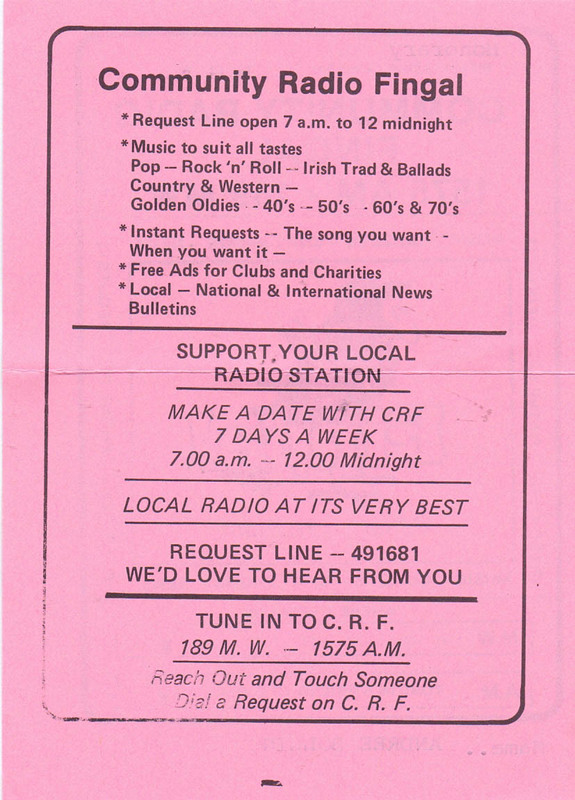 CRF moved into the Swords Shopping Centre. 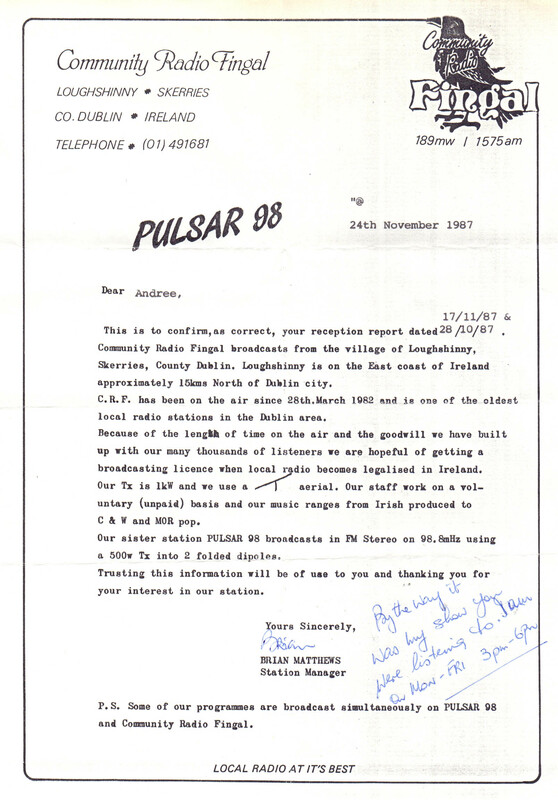 At some point the station merged with Pulsar 98 FM, or did CRF carry Pulsar programmes on MW at certain times of the day?? 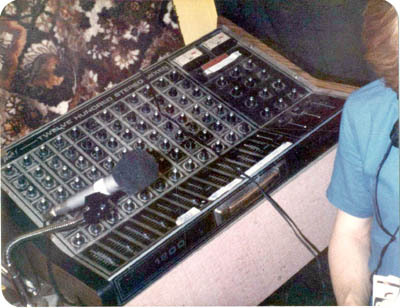 Or vice versa? Or was Pulsar a completely separate station?? 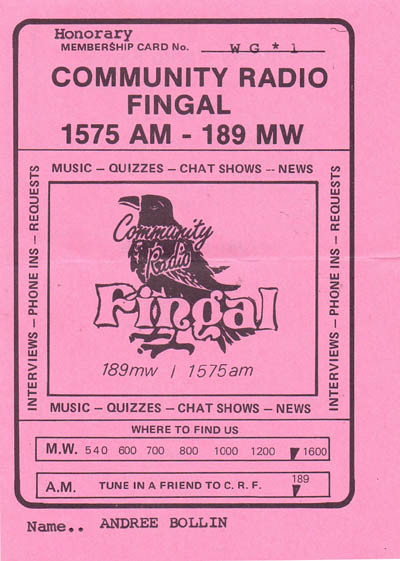 I know that Fingal is a district, but I am unsure the significance of the bird logo. Was it just something CRF chose, or does it have a local significance in the Fingal area?? 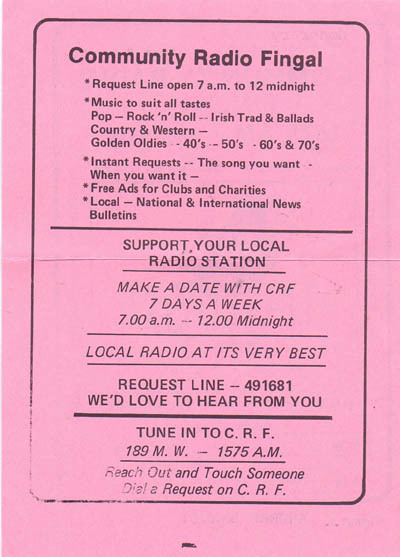 CRF went off the air at midnight on Friday 30th December 1988. 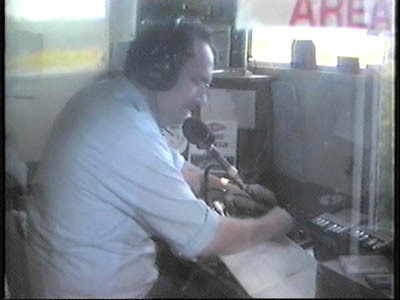 The flyers and QSL used on this page come from the collection of Andree Bollin of Germany. 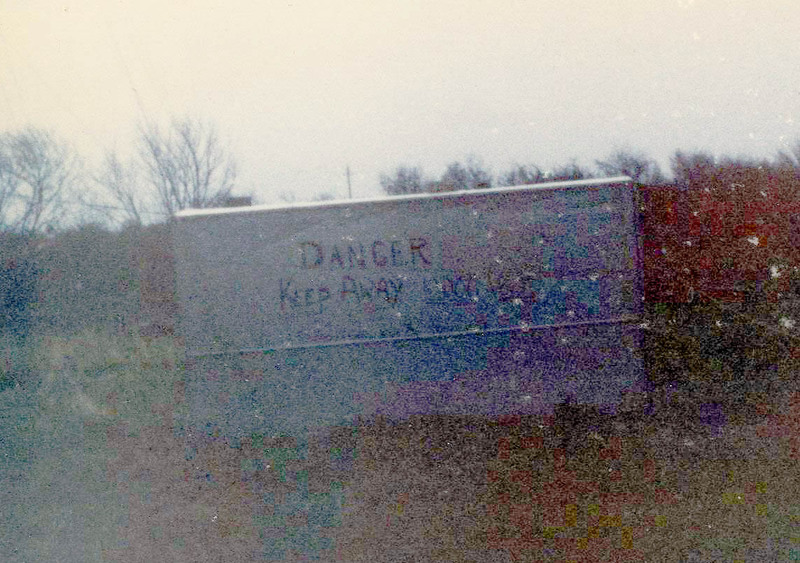 Many thanks for sharing these images Andree, which none of us have in our own collections. 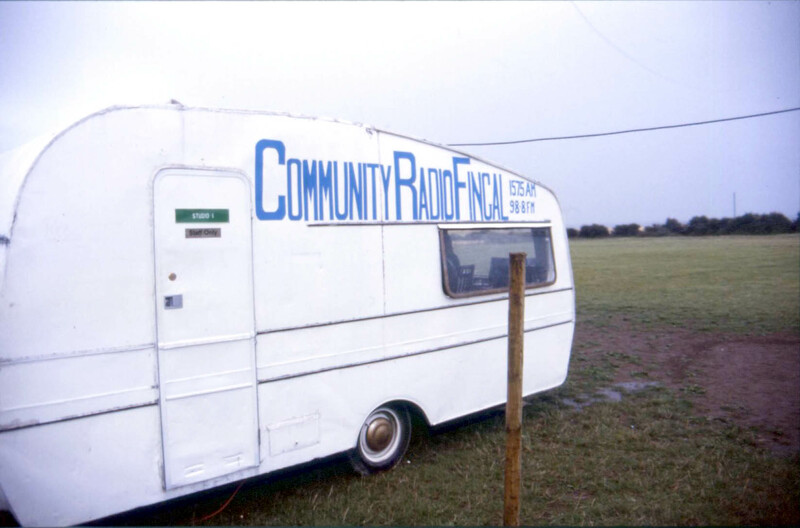 Community Radio Fingal (CRF) was operating out of the old "Fair Maid Festival" caravan in Loughshinney during a visit to the station in March or April 1983. 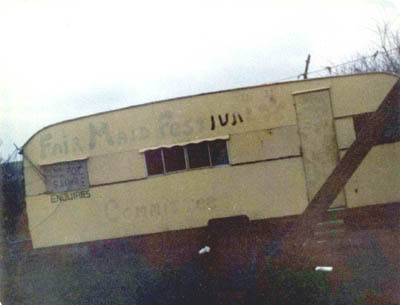 Station owner, Brian Matthews had been part of the local "Fair Maid Festival" which ran from 1974 until 1989. 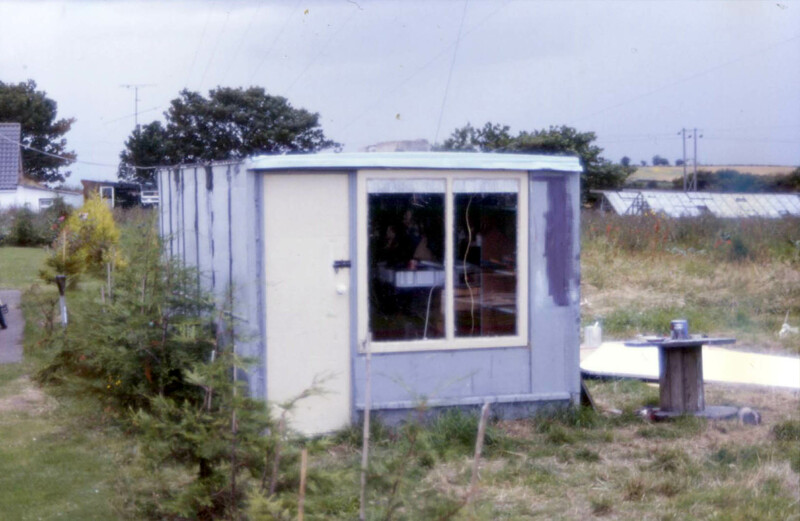 While the studio was in the caravan, the transmitter was in a container closeby. 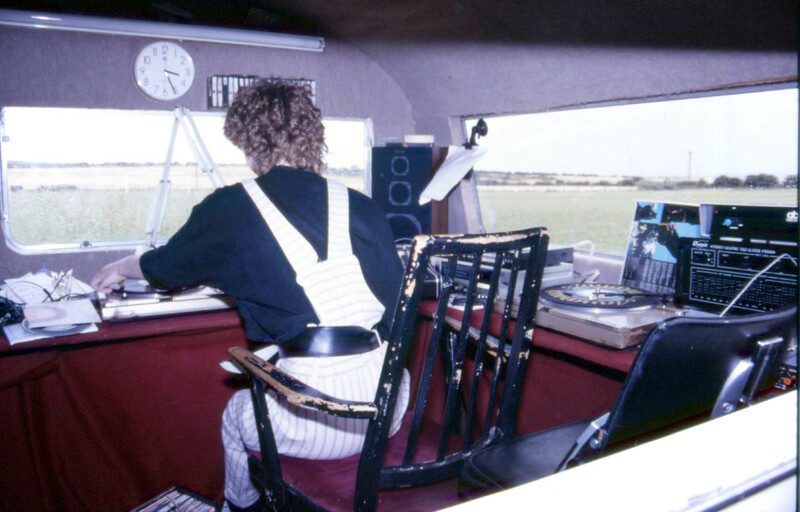 The presenter in the photo is unknown, although the other chap who was showing us around at the time was called Jimmy Clark. 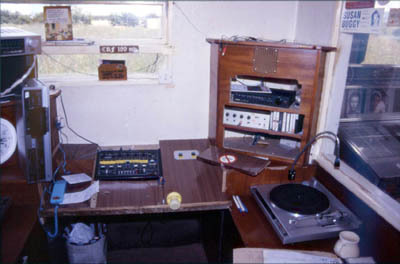 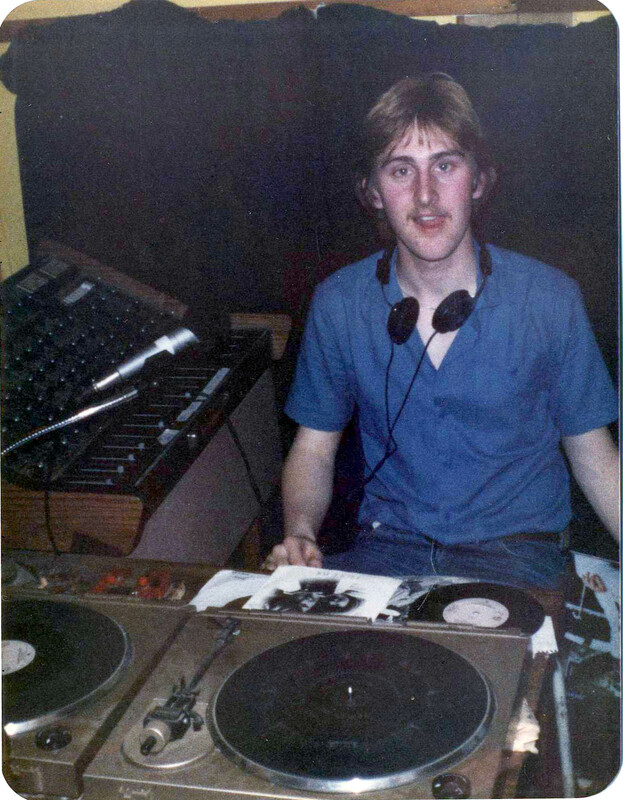 Community Radio Fingal in 1986 and 1987 were in a shed close by the same house. 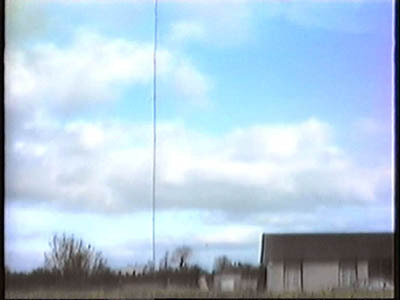 Photos courtesy of Steve West's slides, as well as stills taken from a video, which is not the best quality, but showing a few different views of the studio. The image of the house and the little black shed to the right of it was taken in 1987, the others in 1986. Again presenter is unknown. 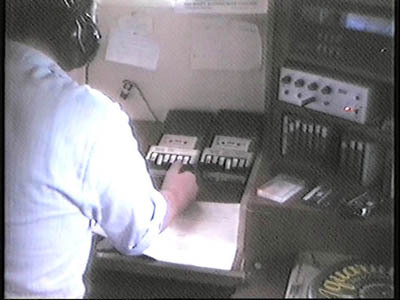 Look at the small cassette recorders for promos and ads!! Community Radio Fingal were maybe in the middle of some kind of an outside broadcast, when Steve West and his troops arrived in late July / early August 1988. 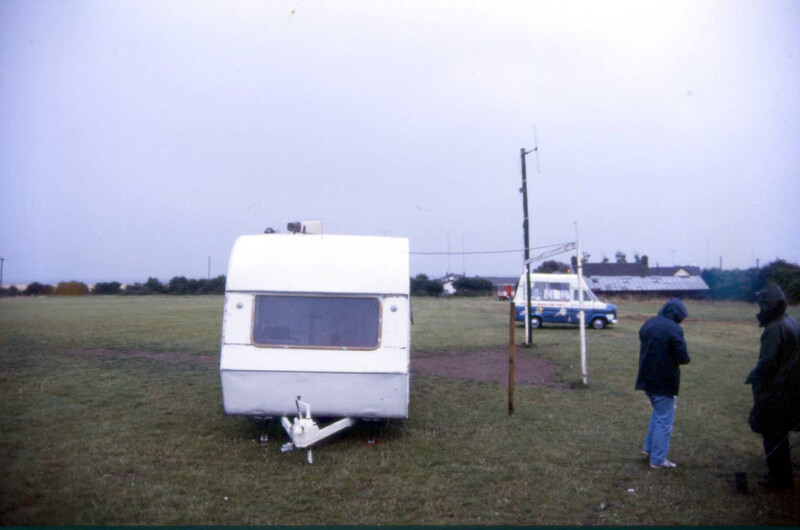 The poor caravan looks to be deserted though in the fact that it does not have the crowds of people swarming around like we may imagine a 1970's BBC Radio 1 roadshow to be like .... Or was that the everyday studio??? 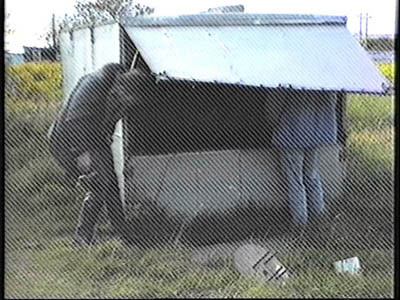 The MW tx pictured before is pictured by 1988 in an inside location, presumably the portocabin below, rather than in an outside container.